Voice Over Newcomers: Where To Start? 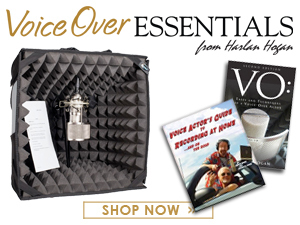 Note: Voice123 recently began a new blog series of interviews with voice over coaches, commencing with voice talent/coach Bettye Zoller. Reprinted below, the interview includes advice on learning the voice over business, auditions and demos. Bettye Zoller is also a featured presenter at Voice Over Virtual, the three-day online conference Sept. 18-20 produced by VoiceOverXtra. For our inaugural post, we chatted with a voice actress and coach who has been with Voice123 since we started back in 2003. Bettye Zoller is based in Dallas, TX and is an expert in voice speech improvement and vocal dysfunctions as well as voice over and vocal coaching. TT: What is your background? How did you get in to the voice over industry? BZ: I was a child actress. At the age of 5, I was working at MGM Studios in Hollywood. I attended the now famous "Little Red Schoolhouse" on the lot. I was there with Liza Minelli and her sister, got to work with Mickey Rooney and was constantly surrounded by amazing talent. My family ended up moving back to the Midwest and eventually, I moved to Dallas to be a studio singer. I did backup vocals on many albums and sang jingles for Rice-a-Roni, American Airlines, and more. When the jingle industry started to die, I started doing voice over and went back to school to study speech and vocal dysfunction. Now, I'm mostly focused on audiobooks. TT: The most common question we get at Voice123, and I am sure you get all the time is "Where do I start?" What advice do you give to someone who is just starting out? BZ: Learn about the business before you start spending money! So many people are doing it all backwards. They spend tons of money on recording equipment, editing suites, soundproofing, etc., before they even know what an actual career in voice over and voice acting is all about. Do NOT pay someone thousands of dollars to produce a demo for you right away. If you have done your research, talked to people in the industry and are still serious about becoming a voice actor or announcer, don't quit your day job just yet. You need to find training. These days, it's difficult to know who to trust. There are many companies and people out there claiming to make you a star your first year. Voice over is not a get-rich quick scheme! Run far from anyone who makes any kind of outrageous promises and then asks you for a big upfront fee. When a new prospective student approaches me, I spend time getting to know them, their voice, their personality, and background. I have actually turned away many people who I did not feel I would make a good fit with. Also, if you do not have basic computer skills, you will not be able to succeed in this business. If you are not comfortable with email, working online, and basic computer functions, find a community class or workshop in your area and start there. TT: What's the first lesson you teach a new student? BZ: Audition and forget it! The most amateur mistake I see new voice actors make is calling their agent (or bugging Voice123 customer service!) to ask who got the gig. Why does it matter?! You learn something from every single audition. Not to mention, the person who listened to that audition now knows your name and voice, and while you may not have fit this particular project, they may call you in the future (it's happened to me many times!). Never worry about the Voice123 feedback "rating" you got either. It's "apples and oranges" and personal preference. Just do your thing! Actually, auditioning is the greatest practice in the world. I encourage all my students to get a premium Voice123 membership. It's a vital tool to boost any voice talent's career. TT: A member of our Facebook community, Angela, asked about where to find scripts for practicing and producing a demo. BZ: You can always just read ads aloud from quality magazines and online publications even. There are also many "script banks" out there for writers. But before you actually cut a demo, spend some time figuring out what kinds of reads you are good at. 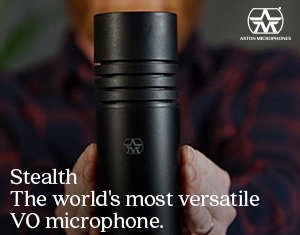 Record yourself at home and listen to yourself in really good speakers or headphones. I spend a lot of time with my students figuring out if they are a "voice actor" or an "announcer. "There is a market for both! For my students that are not theatrically trained or inclined, that instead of being a bad or average voice actor, they should focus on being a great announcer. Non-voice actors can get great work doing non-fiction audiobooks, training programs, phone systems, etc. TT: What's the one thing you see that even veteran voice actors struggle with? BZ: Knowing themselves. Having a professional listen to your voice and reads can help you focus in on the styles that you are really great at and can own. You may not even realize there is a part of the voice over market you are perfect for and are missing out on. Bettye Zoller is based in Dallas, TX and is the owner of VoicesVoices.com. 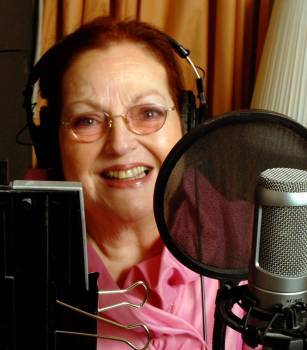 She's voiced ads for Coca-Cola, Visa, McDonald's, Cadillac, and many more. She's the former Creative Director of legendary Dallas powerhouse, TM Productions and other worldwide firms. She's also owned an advertising agency and audiobook publishing house and been an audio engineer for 25 years. She's been a full time voice actress and coach since 2002. Her Dallas agent is the Calladus Agency. Houston agent Pastorini Bosby, Dani's Agency Arizona. She offers voice over coaching locally as well as online and over the phone if you are not in the Dallas area. In addition to offering voice over coaching, she can also help with speech disorders and neutralizing accents. Thanks for this interview. Short and informative. Thank you so much for this wonderful tribute to me, John, here on your site. And thank you to Voice 123 and Tara for terrif interview, too. Gee. I'm on cloud nine.